Ruined Skylines examines the skyline as a space for radical urban politics. Focusing on the relationship between aesthetics and politics in London’s tall-building boom, it develops a critique of the construction of more and more speculative towers as well as a critique of the claim that these buildings ruin the historic cityscape. 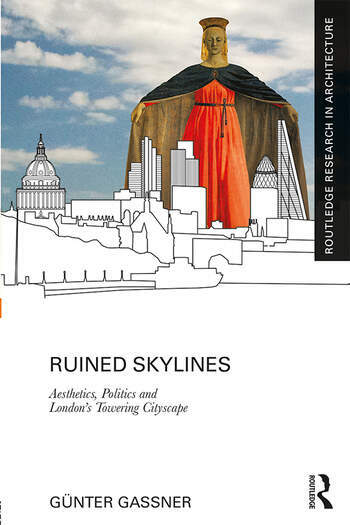 Gassner argues that the new London skyline needs to be ruined instead and explores ruination as a political appropriation of the commodified and financialised cityscape. Aimed at academics and students in the fields of architecture, urban design, politics, urban geography, and sociology, Ruined Skylines engages with the work of Walter Benjamin and other critical and political theorists. It examines accounts of sometimes rebellious and often conservative groupings including the City Beautiful movement, the English Townscape movement, and the Royal Fine Art Commission and discusses recently built towers in the City of London – 110 Bishopsgate, 22 Bishopsgate, 1 Undershaft, 122 Leadenhall, and 20 Fenchurch – in order to make a case for reanimating urban politics as an ‘art of the possible’. Günter Gassner is Lecturer in Urban Design at the School of Geography and Planning, Cardiff University and an architect. His research and teaching interests lie at the intersection of critical theory and spatial practices. He specialises in questions about relationships between aesthetics and politics, history and power, and urban visions and visualisations.